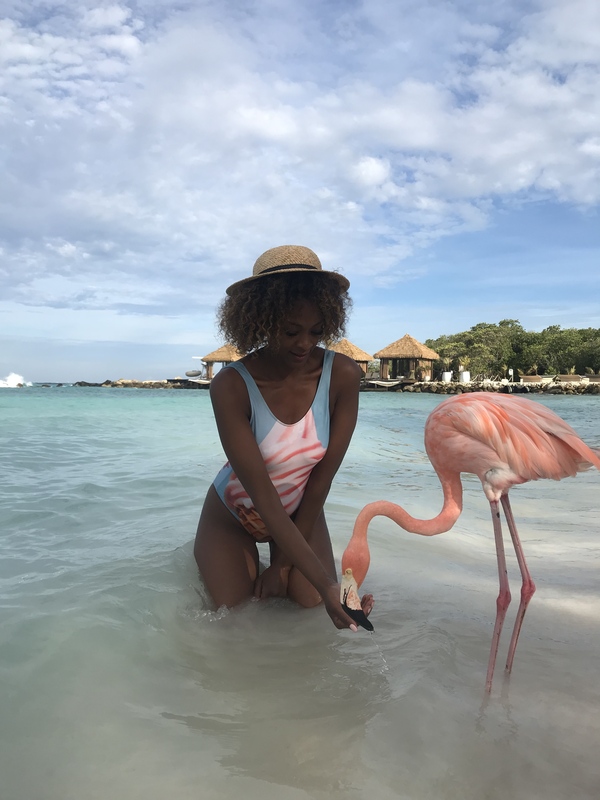 This was my second trip to Aruba, but little did I know that there was more to this island than laying on sandy beaches while sipping on tropical drinks. Their slogan, “One Happy Island” is definitely one they live up to. We were greeted with smiles and positive attitudes by locals wherever we went! Allow me to take you on a little tour that will help you make the most of your trip. 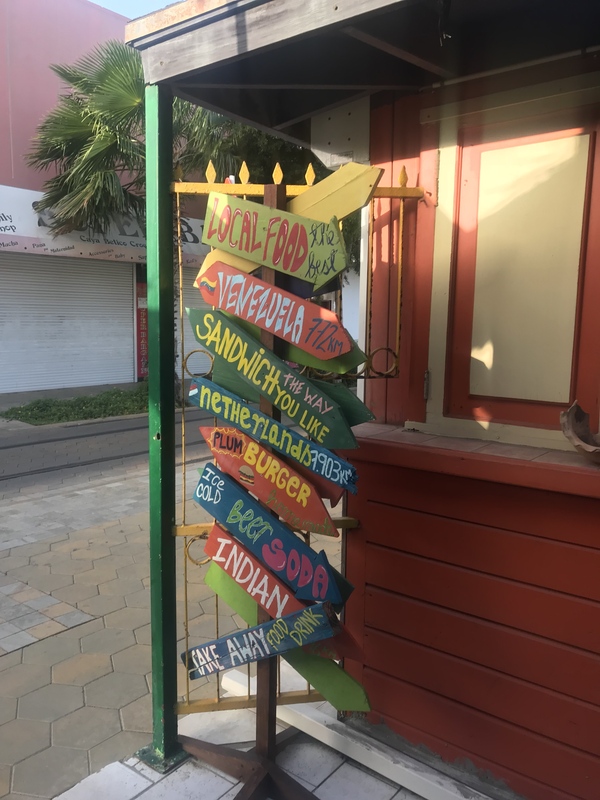 Where to Explore, What to do, Where to Eat? I definitely wanted to experience this much talked about flamingo hangout. You can either opt to stay at the Renaissance (with complimentary access) or get a day pass ($90) and take the boat to the island. I chose to take the 7am boat and arrived with ample time to explore before it got saturated in the afternoon with tourists chasing around flamingos trying to get the perfect camera shot. There is a beautiful lagoon with plenty of hammocks and palapas to go around. Please be warned, this all terrain ride isn’t for the faint of heart. 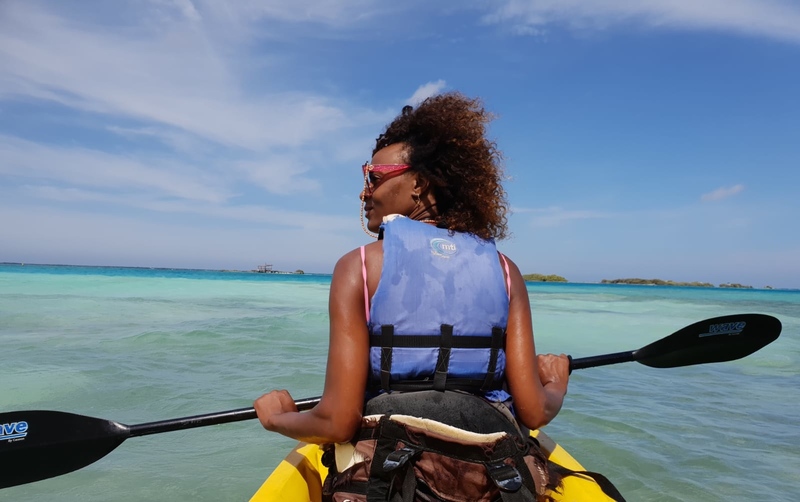 It includes stops at the Natural Pool which is breath taking (Conchi), Bushiribana Gold Mill Ruins (1872), Natural Bridge and California Lighthouse (1916). 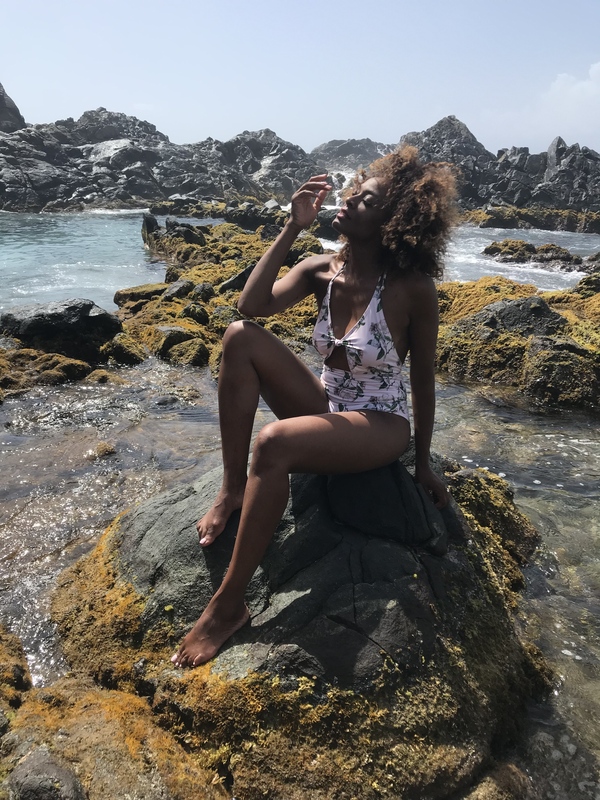 Moro is a flat, large rock resembling the map of Aruba – which is also why the locals fondly refer to it as “Little Aruba.” To the north, you will find Boca Keto and Boca Fluit in the South of the beach. Both are beautiful and pristine beaches; leaving you feeling like the only soul on Earth. For a sail and snorkel trip on the large catamaran Palm Pleasure with open bar & snacks on board and three snorkel stops, which includes the Antilla, a Famous World War II shipwreck that is now flourishing with coral formations and curious fish at the bottom of the sea. For the ultimate relaxation experience, visit Indulgence by the Sea Spa in Aruba. This full-service spa offers massages, facial treatments and therapeutic baths. Spent an afternoon at Baby Beach in the very South. It’s a great family beach with all the amenities you might be looking for. There’s a beach bar and restaurant, huts, restrooms – everything you need! Drive to San Nicolaas the oldest city in Aruba and discover the street art. It reminded me a lot of Wynwood in Miami. 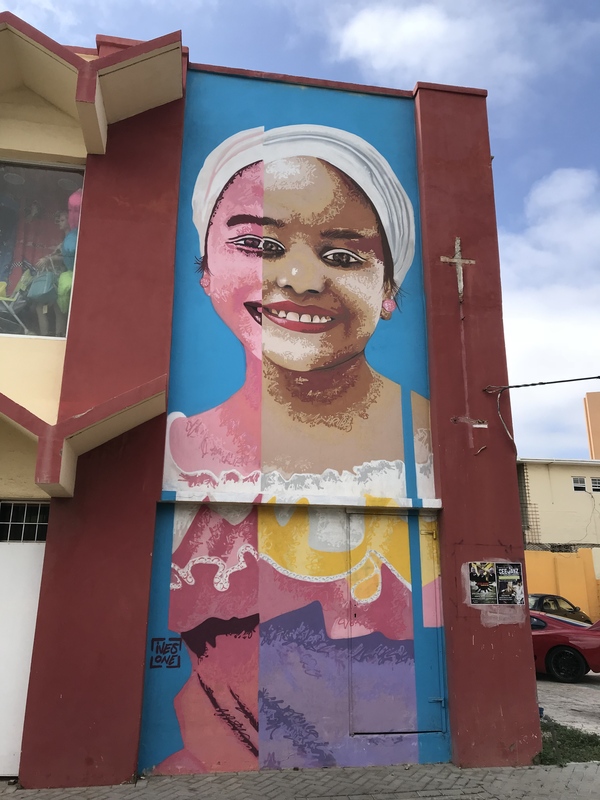 Each year, more and more stunning murals are replacing broken down buildings with colorful art pieces, thanks to the efforts of various art organizations in Aruba!! The event will start in September. I can’t wait to see what the artists will come up with this year. Visit Oranjestad with Aruba Walking Tours in the late afternoon and stroll through the city. 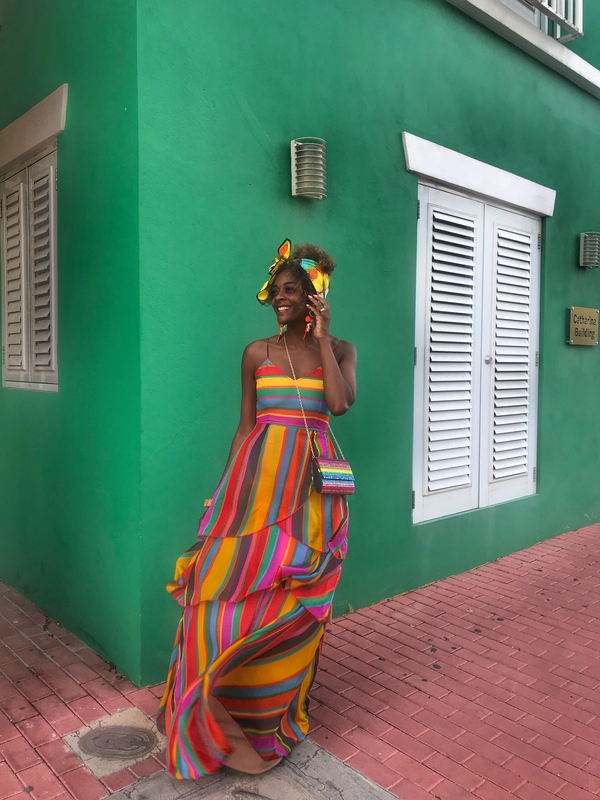 This authentic experience takes you to over 30 amazing (and historic) sites in downtown Oranjestad, while a Local expert shares fascinating stories on the islands’ rich history & culture. 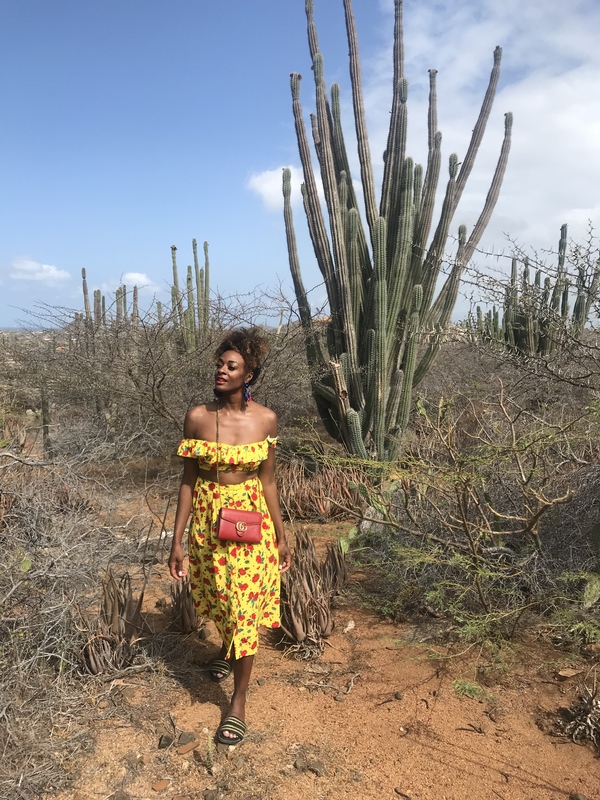 Stops are made to visit monuments & museums, sample Aruba’s local cuisine and even for a little shopping on-the-go, which I did, of course! I would never choose to do this out myself but I was glad that it was part of the itinerary because I actually loved it. First time on a board but most probably not the last. Learn all about the Aloe plant, which is typical to Aruba and has become one of its major exports. Become an expert in the history of the Aloe, its uses and how it is processed. Aloe products, such as creams, are available for purchase inside the factory, and in several retail stores around Aruba. For those who love the outdoors, a visit to the Arikok National Park is a must. This area covers almost 20 percent of the island ground and offers a variety of Aruba attractions. Discover lava formations, underground caves, hidden tidal pools and desert-like hills filled with tall cacti. We had a guided tour with ranger Mr. Julio Beaujon and learned more about Aruba’s beautiful Flora and Fauna. Don’t forget to wear sun protection and take enough drinking water with you on the trails. This quiet beach is perfect for sunbathing, snorkeling and diving.It’s incredible how many fish you can see there. You won’t want to leave the water! Where Mediterranean and Caribbean dishes come together! It was my first Dinner at Aruba and it set the tone that this whole trip was going to be a great culinary experience : torch-lit dining in paradise. Enjoy the sun setting over the beautiful Caribbean Sea as the waves crash against the sugar sand beach making music to your ears. As it gets darker, the soft lights of tiki torches illuminate the night, adding to the enchantment of your dining experience. Classic French dishes with a Caribbean twist. It’s a culinary experience that will rock your taste buds for sure. Enjoy fine dining French-fusion in a lounge setting inspired by Dutch Chef Erwin Hüsken. Screaming Eagle is in the Caribbean Journal top 3 of the best restaurants in the Caribbean. Want to eat Italian? Go to Aruba’s certified and only authentic Italian restaurant, owned and operated by Master Chef Vittorio Muscariello, with the freshest Italian imported ingredients. Have a drink at Charlie’s Bar Restaurant one of the most iconic bar in the Caribbean. The atmosphere is one of a kind and the food is really good – Try the spicy Papaya sauce! Have a romantic dinner at the really elegant Papiamento Restaurant. You’ll be seated next to the pool of an old authentic Aruban house and can enjoy the wonderful atmosphere. The restaurant also offers an amazing wine cellar. With the sounds of the ocean caressing the beach in the background, tropical breeze through your hair and your feet in the white sand, all while enjoying great food and marvelous wines. A Shack on Palm Beach selling delicious healthy food from smoothie bowls to acai bowls and tons of vegan delights. 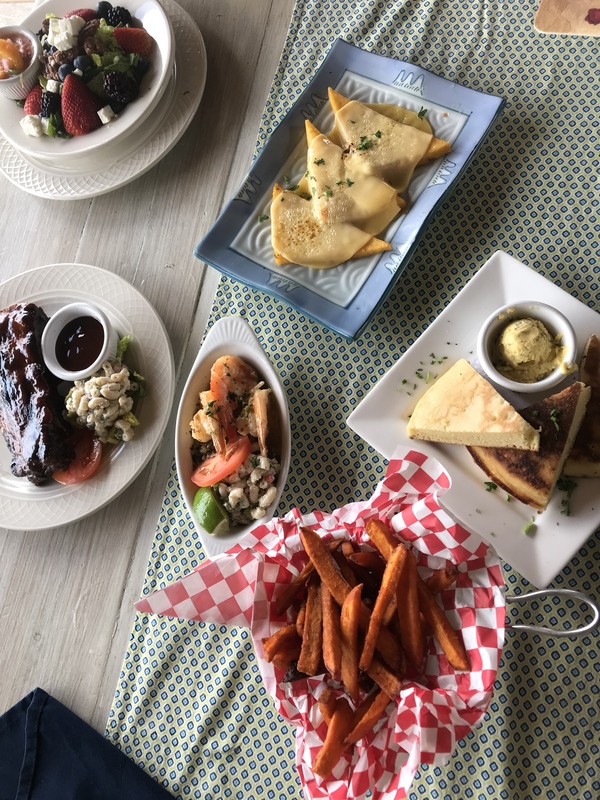 The best spot for boat-to-table fare on the island is Zeerover’s!! 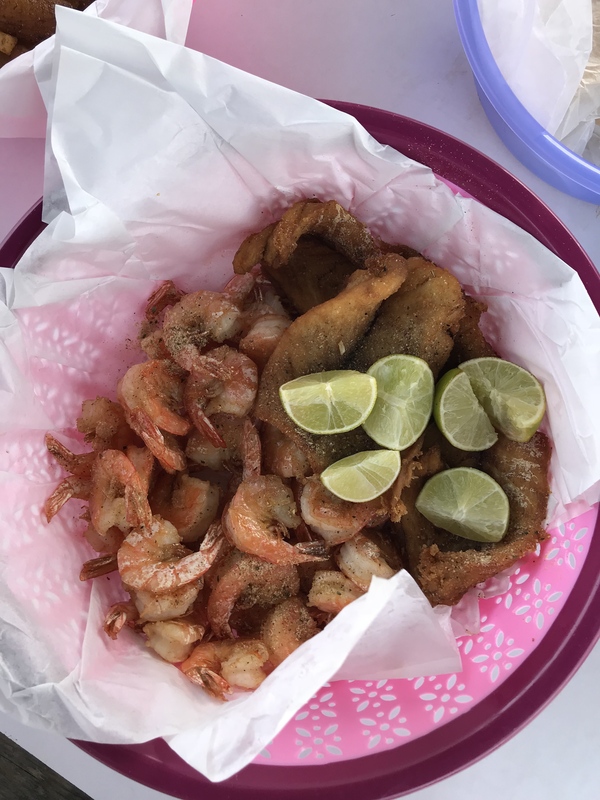 Your fish and shrimps are fried and tossed in an enormous bowl with french fries and plantains and delicious sauces on the side. With the view of boats sailing by it was the perfect afternoon. A beach front restaurant overlooking the south side of Aruba, serving local and other Caribbean favourites. Perfect place to spot pelicans sitting on fishing boats or flying above the beach. Order multiple dishes and share, like a salad with pecan nuts and fresh berries, sweet potato fries, plantains and samosas. 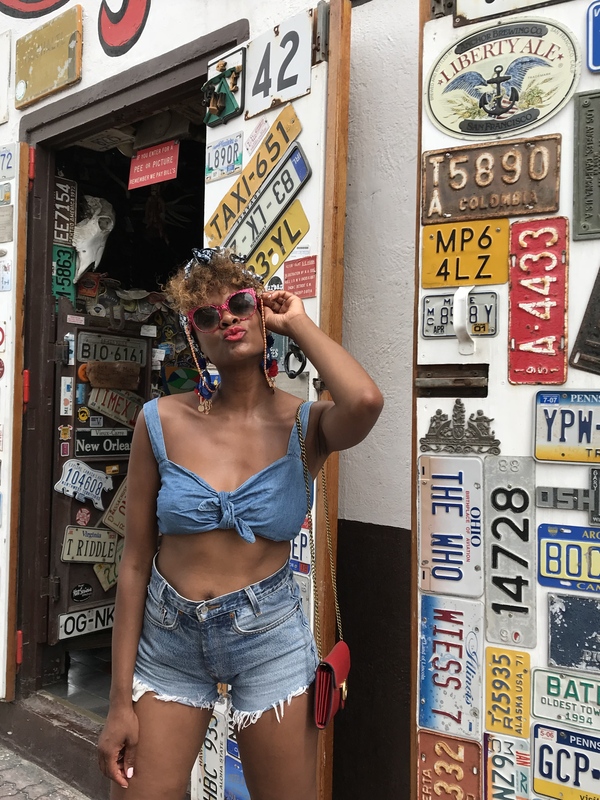 Here is where you get the ultimate Caribbean vacation experience. I walked straight from my cozy room to the beautiful white sand Eagle beach, an ideal place for relaxing and rejuvenating getaways. What set this resort apart is the staff, who take great pride in serving their guests. The breakfast is also great. From delicious smoothies, to breakfast wrap to even a variety of Vegan dishes!! If you go to Aruba, forget the high-rise, massive hotels. Manchebo Beach is the place to go.